It’s hard to believe that this will be the last weekend before Christmas! (Did that send a shudder of holiday shopping anxiety through you?) If it did, maybe some events this weekend can help you round out your shopping before Christmas Eve. 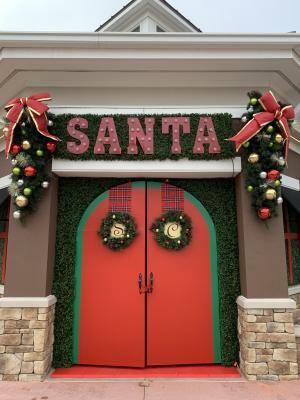 I compiled a number of weekend activities in Hendricks County, Indiana, that provide great opportunities for meeting Santa, finishing your shopping or just enjoying the holiday festivities. You can find more events anytime online on the Visit Hendricks County Events Calendar. Want to sip your holiday cheer in style this year or maybe even make a gift for someone? Head over to Painting With a Twist in Avon on Friday to get your craft on (so you can get your sip on). Cost is $35. The class goes from 7 to 9 p.m.
Visit with Santa this holiday season at The Shops at Perry Crossing in Plainfield. 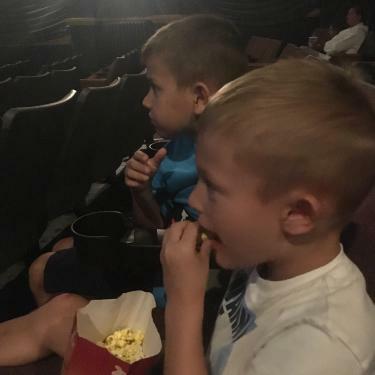 This is a great place to see him because of the convenient hours, the adorable setting that includes a fireplace and the location in the middle of the mall where you can finish up your shopping and even go to dinner and a movie. This will be the last weekend Santa will be in the Town Square and available for photos. Santa&apos;s reindeer will even make a special visit from 1 to 2 p.m. this Saturday. If you can&apos;t come then, days and times for the rest of the weekend are 11 a.m. to 8 p.m. Friday and Saturday and noon to 7 p.m. Sunday. For prices, visit their website. Come for your traditional visit with Santa Claus in his Avon shop at Red Curb Theatre, 8403 E. U.S. 36 in Avon. Times are still available between 10 a.m. and 3 p.m. Saturday and noon and 5 p.m. Sunday. You can reserve your spot in advance for $5 by clicking here. You can purchase professional photos taken by Adrienne Nicole Photography (packages begin at $25) and enjoy Christmas treats (for kids and adults) while your photos are printed on the spot. Come on out for a relaxing, family-friendly event in your pajamas at 11 a.m. Saturday at the Royal Theater in Danville. Merry Christmas Charlie Brown will be playing and concessions can be purchased. Seats are FREE, but are first come first serve. With its home base inside Bosstick Gym in Danville, the Indiana Lyons joined the American Basketball Association (ABA) in the fall of 2018 reintroducing Central Indiana to the minor league basketball circuit. The Lyons will host the Illinois Bulldogs in ABA play at 5 p.m. Saturday in Danville. Tickets cost $10 and can be purchased at the gate or in advance. Frazee Gardens will host its annual Santa Meet ‘n Greet from noon to 3 p.m. Saturday. Kids can talk to and get their picture taken with Santa for free at Frazee Gardens in Brownsburg. We believe pets are part of your family, too, and so do the folks at Katie&apos;s Professional Dog Grooming in Plainfield. Santa will visit Katie’s from 2 to 5 p.m. Saturday to pose with your furry friends. A $10 donation is suggested. I hope you have a great pre-holiday weekend and on behalf of Visit Hendricks County, I want to wish all of you a very merry Christmas and happy holidays.